Responsible and caring Dog Moms & Dads try to do our best. We love and nurture, provide preventive veterinary care, seek out quality nutrition and teach our pups (even those only still young at heart) manners and basic obedience that not only makes them welcomed family members, but also keeps them out of harm’s way. “Stay” just may prevent a dog from running into traffic while “leave it” could deter the consumption of poison. Yet, when enjoying nature with our best pal by our side, our biggest nightmare could come to life in the shape of a loose dog. The purpose of a leash is to prevent animals from answering “nature’s call” in inappropriate places, getting lost or injured or causing damage to property. On-leash dogs rarely get hit by cars and rarely show up on “Lost Dog” flyers. Leashes are also a form of communication between handler and dog as the dog receives messages from the energy we send down the strap whether we realize we are transmitting or not. Of prime importance though, a leash can prevent animals from coming in contact with each other or with people. You and your well-adjusted, well-socialized pooch are on an on-leash walk when suddenly a loose dog (or even one on leash being pulled or encouraged by his handler) bounds towards. You have no idea if he’s friendly and just wants to meet your dog (even if his handler is saying so). Are you willing to risk your pet’s safety? Let’s turn it around. My friendly dog may feel threatened that his space is about to be compromised and become fearfully aggressive by the charging canine. My dog may feel he is protecting me and growl, snarl or worse at the friendly animal coming towards us. Leash law or not, a charging animal is rude and disrespectful behavior on the part of the handler and can turn into a dangerous situation. Even on a seemingly deserted trail, it’s not fair to me and my dog to have to worry about an off-leash dog suddenly bee-lining our way. Ten-foot (and longer) leashes are available if you want your dog to have more freedom, but stay alert, and reel him in if anyone else is in the vicinity. The best trainers will tell you there is no such thing as 100% recall, meaning that your dog will turn on a dime to you ignoring a scurry of squirrels or truckload of spilled burgers. Good recall is important, but it doesn’t come with a guarantee. Fortunately for Chu and her small companion, this was a case of a dog who just wanted to play, so getting her little one away from trampling paws was a good move. But, in a scenario where the charging dog’s intentions are not play, both human and dog could be attacked once the “prey” is scooped into human arms! STAY ALERT to your surroundings. Not only may it prevent your pet from eating something nasty off the ground or cutting his paw on broken glass, it will give you fair warning as to animals and people heading your way and may give you time to avoid the encounter altogether. TRY COMMANDS, THROW TREATS and train your own dog to “watch” you so that his attention is on you, preventing him from making eye contact with the approaching dog. NEVER flail your arms or start yelling. Be calm and assertive but avoid direct eye contact. Also, do not run away which can initiate the predator/prey response leading to a dangerous chase. Janine Pierce, Owner of J9s K9s in Studio City, California, concurs with Bloom’s treat suggestion, but adds, “Since chucking the yummy tidbits doesn't always do the trick, carry Spray Shield, a citronella-based deterrent spray. I don't recommend using pepper spray or mace, because if there is a breeze, this product can blow back into your own dog's eyes (or yours), causing extreme pain and rendering you unable to effectively manage the situation.” A spray of lemon juice is a weaker, more humane substitute to pepper and bear sprays. Senior Animal Control Officer (Burbank California Animal Shelter) Stacie Wood-Levin’s advice reminds us, “When using an air horn or boat horn, realize it will also scare the heck out of your dog,” so have a good hold on him and be prepared to destress him once the situation has played out. I have no personal experience but came across a combination of the two, InteroSTOP Noise and Interomone Spray. The packaging reads, “With one spray, the sound and interomone (chemical released by one species that affects another species’ behavior) released will cause your pet to stop jumping up, barking, pulling on a leash or other unwanted behavior. When used as directed, this product will provide quick results without causing physical harm to your pet.” Reviews look promising. Carrying a stick is also a useful tool but not to bat at the offending animal. Bang the ground or whip in the air to make a whirring sound. Enjoy your time walking with your best friend and stay safe. For those “ALL dogs love me” people who your dog is clearly trying to avoid, a good technique is to teach a cue for your dog to get behind you and then sit between your feet. Even the most zealous dog fanatic will hesitate at the idea of petting a dog so close to their person. Bite wounds are often disguised by fur and can develop into an abscess if they are not discovered and immediately treated, so even if you think nothing happened, really feel your dog all over for tender spots. Stop bleeding by applying direct pressure. In severe cases, also elevate the area of the body to promote clotting and if on a leg, apply additional pressure to the artery (see picture) inside the upper front leg (brachial artery) or groin (femoral artery). For a tail injury, press the caudal artery underneath the base of the tail. If the wound is not bleeding, rinse with saline solution or water and antibacterial soap. Never pour Hydrogen Peroxide into a deep wound. Puncture wounds allow bacteria to penetrate deeply into the body, which becomes trapped and can quickly cause infection. Find out if the other animal is current on vaccinations. Pain, redness and infection can occur around untreated areas and your dog may develop a fever, loss of appetite and become lethargic. Antibiotics most likely will be needed. If injury is to the chest and your pet is having difficulty breathing, or if you hear a gurgling sound and see frothy blood, you have a life-threatening emergency. You must get veterinary help but must also make a one-way valve that prevents air from being sucked into the dog’s chest cavity. Your goal is to re-establish the normal “vacuum” that should exist, prevent lung collapse and help your pet breathe easy until medical help is available. Treat your pet for shock (keep warm and elevate hind quarters if there isn’t heavy bleeding). Put a drop or two of honey or Karo® Syrup on his gums if available. If the wound has a small opening, seal it with a big glob of K-Y Jelly® to prevent incoming air from collapsing the lung. Carrying a Pet First-Aid Kit could be a lifesaver! Place clean gauze or plastic wrap (a plastic baggie will work) on top of the opening and hold in place with tape on 3 of the 4 sides. When the animal inhales, his lungs will push air out of the chest cavity and back through the hole, so your bandaging will need to lift on that one side to release air from the body. When the pet exhales, and the lungs deflate, the sucking wound will pull the plastic back the hole and prevent additional air from entering the chest and collapsing the lung. If the wound is too large for water-soluble lubricating jelly, cover tightly with plastic wrap to form a seal and tape it in place. If possible, have the pet lie on the injured side to keep pressure on the bleeding and help seal the hole. By preparing for the worst, you just may prevent the worst from happening. 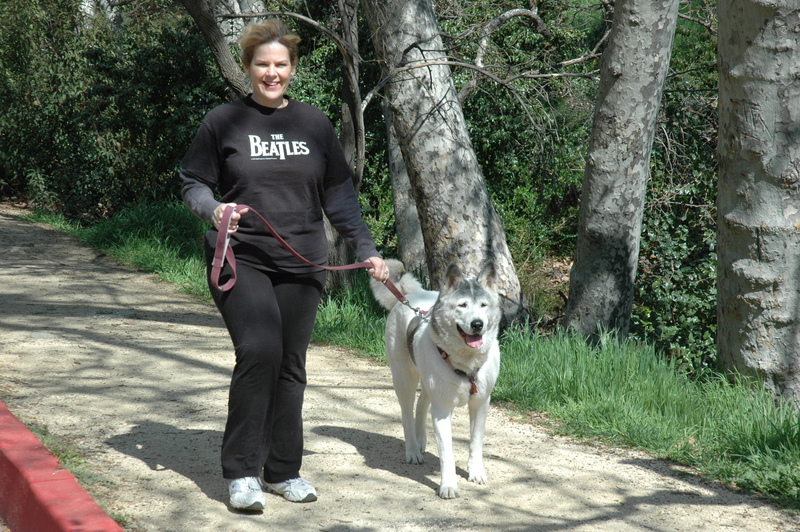 About the Contributor: Denise Fleck (aka The Pet Safety Crusader™) is a proud Board Member of The Grey Muzzle Organization. Besides working on behalf of senior dogs, she has personally taught 15,000 humans animal life-saving skills and millions more via television appearances. She has authored 10 books and produces a line of pet first-aid kits. Learn more at www.PetSafetyCrusader.com.